Pebble Beach Shawl by Helen Stewart - Madelinetosh Prairie "Well Water." Size US 4 needles. 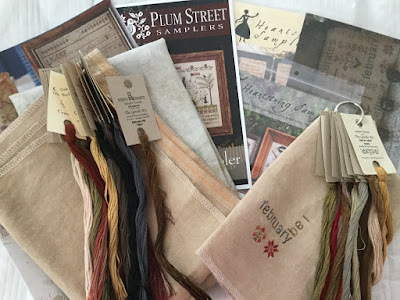 American Sampler by Plum Street Samplers (I think I'm going to use 40 ct. Vintage Meadow Rue by Lakeside Linens), Three Little Proverbs and Bird Collection III by Heartstring Samplery from The Needler in Lexington, SC. Threads and 40 ct. Wren by Picture this Plus from 123stitch.com. Garden Club turned out so pretty. I love watching your Podcasts. 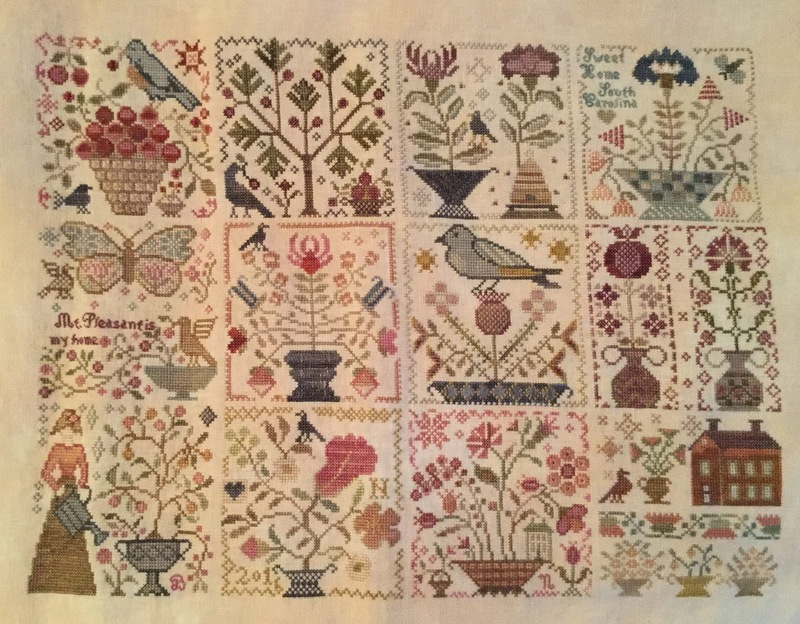 Thanks for sharing pics of all of your stitchery. Such beautiful projects and beautiful stitching. Your scarves are always so pretty. Your stitch-in sounded really fun. 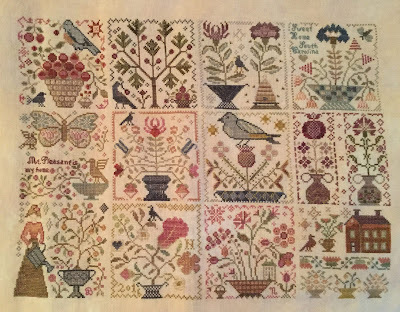 I had the chance to meet Yvonne a couple of years ago at the Silver Needle stitching event in July. She came by herself and she sat with the group of us who came together from Kansas. It was really fun - out teacher were from La D Da and Drawn Thread. I have also been watching her FT videos - they are really good. Hope you have a great week and some good stitching time.